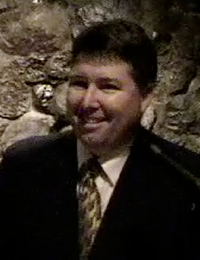 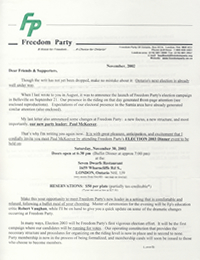 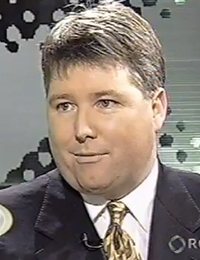 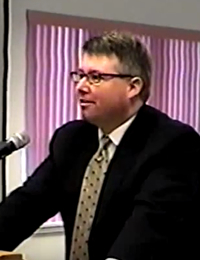 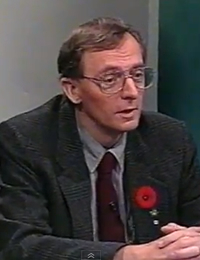 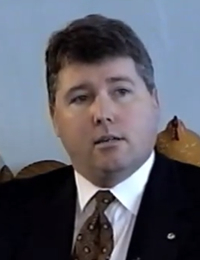 On November 27, 2002, Freedom Party of Ontario notified the media that Freedom Party would be hosting its first 2003 election dinner in London, Ontario. 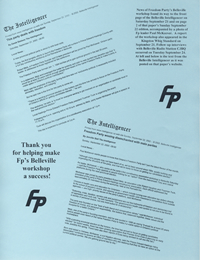 Click here to read the release. 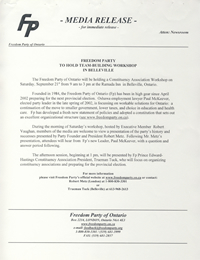 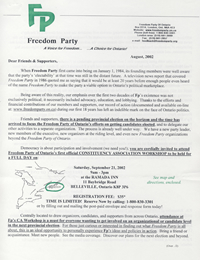 On or about September 20, 2002, Freedom Party of Ontario notified the media that Freedom Party would be holding a team-building constituency association workshop in Belleville on September 21, 2002 (in the riding of Prince Edward-Hastings).